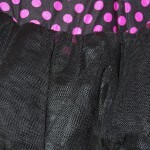 Beautiful one year old dress that gains a lot of compliments. 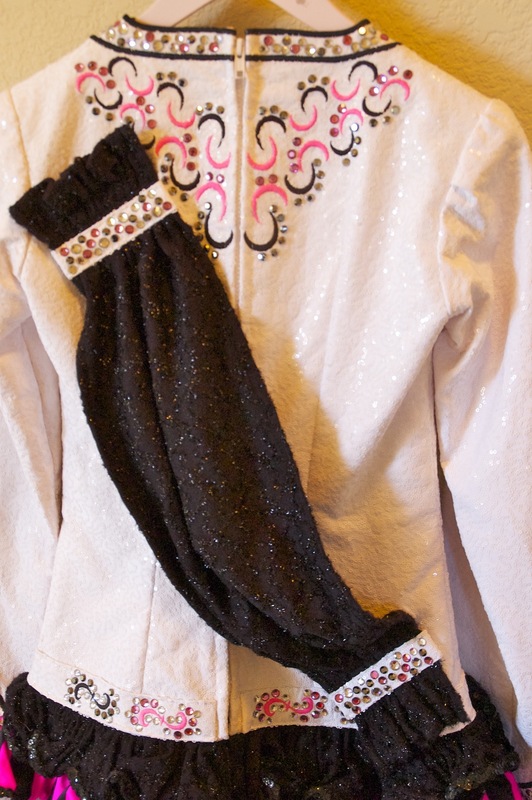 White sequinned bodice with bright pink and black embroidery and white, pink, and black crystals. 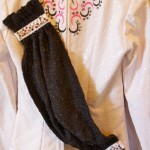 Skirt is layers of black embroidered, sequin material, bodice material, and pink/black knit. All material comes from England. 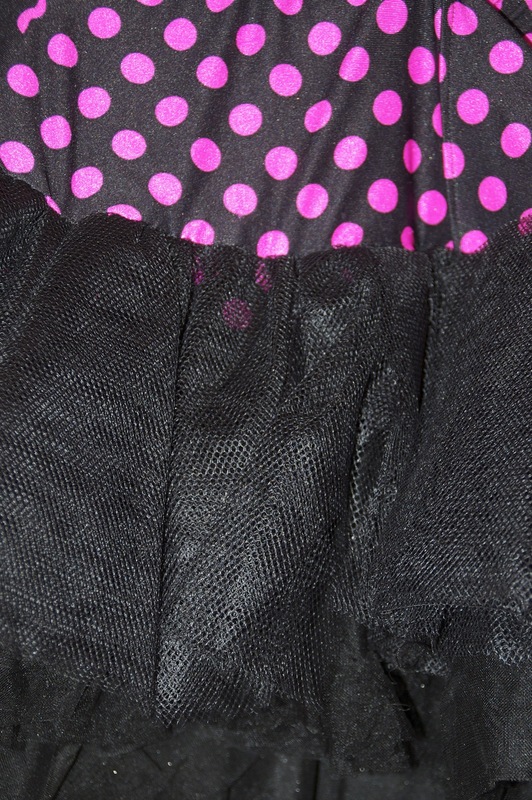 Dress comes with tu-tu topped with black/pink polka dot waist and matching kick pants. Very good condition, from pet-free, smoke-free home.